For swim team yesterday, I decided it was time for a batch of anything muffins! This time, the anything muffins were chocolate chip for the kids, but they were seriously yummy. I should have doubled the recipe! Mix all ingredients together till smooth. Add whatever fruit you want and blend in. Spoon into cupcake lined muffin tins. Bake at 350 about 20-25 minutes until done. Then you add in your choice of filler ingredients. This time, it was about a half a bag of milk chocolate chips. We've done all sorts of fruit fillers, berries, pineapple, raisins. We've done yummies like chocolate chips, coconut and butterscotch chips. We've done carrots and zucchini. If it can go in a muffin, it can be in an anything-muffin! 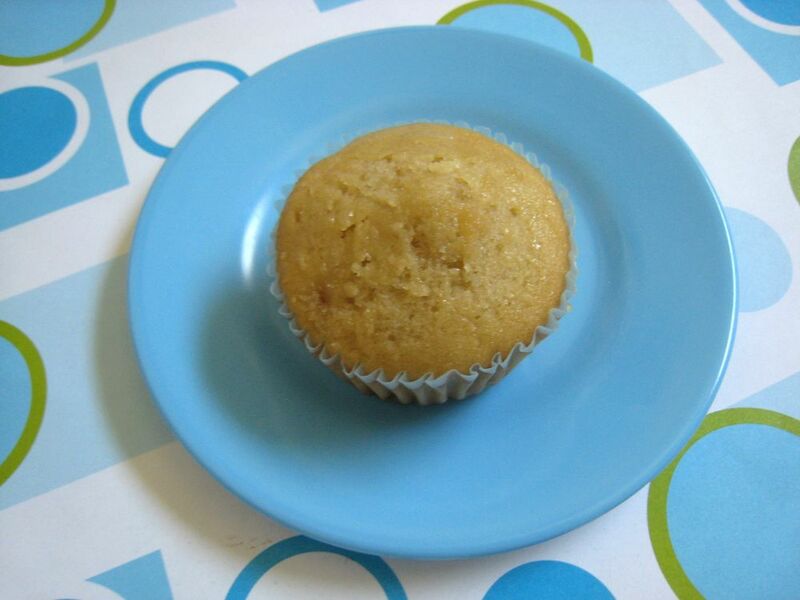 Anything muffins are also a perfect kid activity. F&B love to make them and we've even made mix and match mini muffins! 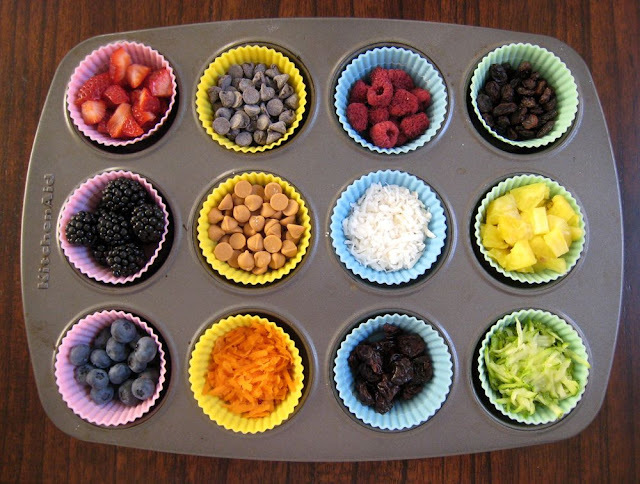 Set out a tray, pick your own fillers and add the muffin batter! Our original make-your-own mini muffins were a BentoLunch post and featured in Disney's Family Fun magazine.